Everyone is wondering. That's probably why Google took you here. Here it is. For real. Yes, for real for real. A definitive answer. You cannot take a selfie with your ballot on Election Day. Why? It’s against the law. Read Florida Statute 104.20: “Any elector who, except as provided by law, allows his or her ballot to be seen by any person … is guilty of a misdemeanor of the first degree.” A first-degree misdemeanor is (again, according to statute) punishable by imprisonment of no more than a year. Those are the rules. Doesn’t mean you’re going to get locked up for doing it. But it is against the law. That also doesn’t mean you have to leave your cell phone at home. Sample ballots, voter guides, newspaper recommendations — many of them are at hand on your trusty cell phone. Local supervisors of elections have the right “to implement policies and procedures to maintain order at the polls,” according to Sarah Revell, director of communications at the Florida Department of State. That could, theoretically, include a prohibition of cell phones at the polls. But probably not. In Tampa Bay, elections officials in Pinellas, Pasco and Hillsborough counties all said it’s okay to use your phone, as long as you’re not disrupting the voter operation. 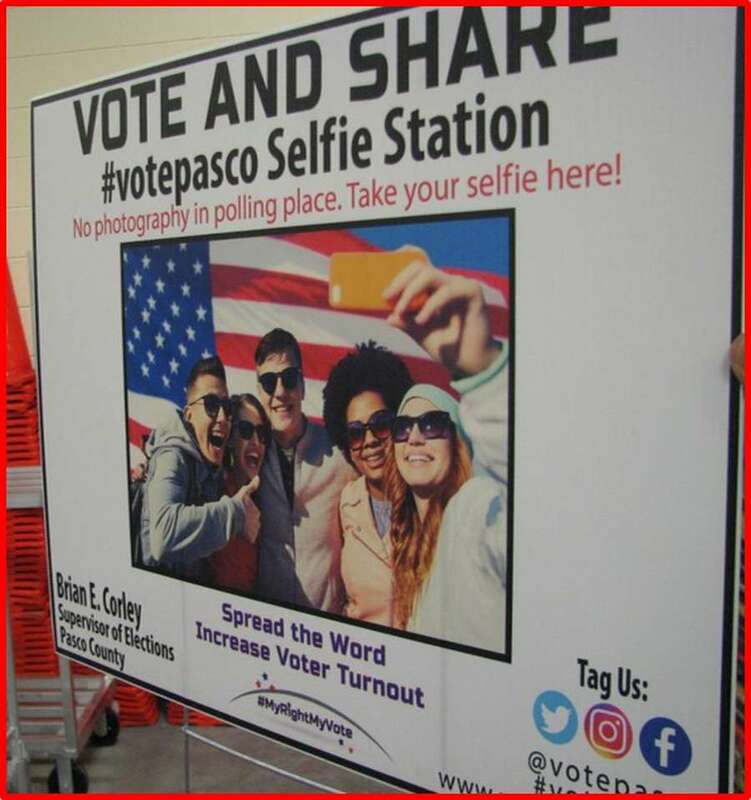 “If someone is caught taking a photo, we tell them it’s not allowed — we do not confiscate their phone or ballot,” said Gerri Kramer, communications director for the Hillsborough supervisor of elections office. And outside? Well, Pasco and some other supervisors all but encourage it, according to Corley.